Our Schools' Culture & Climate Matter, We Want to Hear From You! 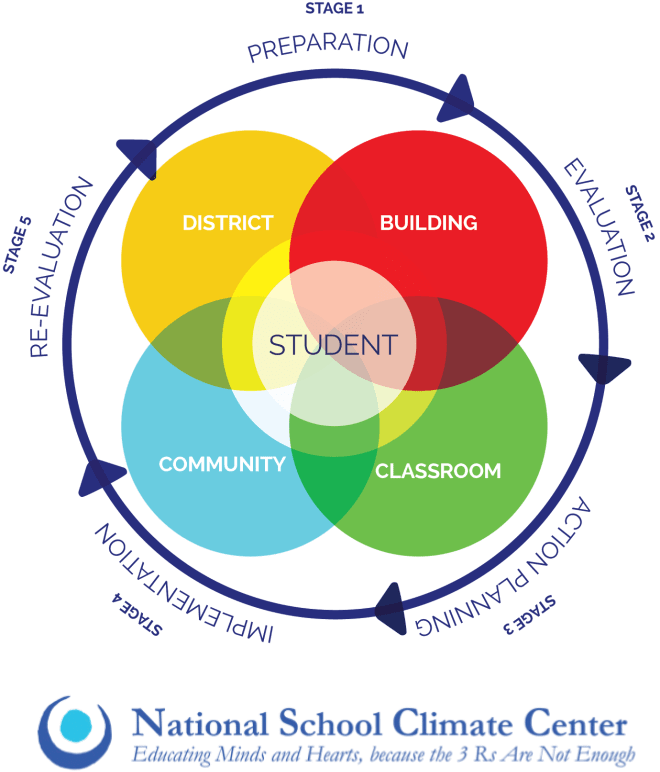 In order to ensure desired results of improved teaching and learning, successful schools must cultivate safe and stabilized learning environments. As part of our relationship with the National School Climate Center (NSCC), we are asking all parents and guardians to complete the Comprehensive School Climate Inventory (CSCI) survey. Different versions of the survey will be given to students and staff, which will allow us to hear from every single member of our school community. The survey is designed to assess perceptions of school climate, including feelings about safety, relationships, learning, the environment, and communication within the schools. The survey should take approximately 20 minutes to complete. Your feedback is important to helping our schools understand and improve the specific climate issues in our schools. All responses are anonymous. There are no names or other personally identifying information attached to the survey. Furthermore, results will not be disaggregated for sub-groups with ten or fewer constituents in order to protect their confidentiality. Beginning the week of October 15, specific electronic links to the survey will be sent to you via e-mail, text, and push-notifications. All surveys must be completed no later than October 26. NSCC will compile all of the results and conduct a thorough data analysis. When this process is completed, NSCC will send us a detailed report with our results. These findings will be analyzed by our district improvement team and will be used to inform future school planning initiatives. We plan to hold a community meeting to discuss the results when the report is received. We will provide more information about this meeting and hope you will join us in this effort to make our district an even better place to learn. Thank you for your help!